It can be a big job to keep your yard looking good, but with a few simple steps, you can have a beautiful lawn that is a source of pride. Depending on what climate you live in and how in depth you want your lawn care regimen to be, you might fertilize your lawn from two to four times per year. You can find fertilizers specially blended for different types of grass and with different nitrogen levels. If you're looking for deep color and vigorous growth, you will want a blend with a higher concentration of nitrogen. If you want to take a more laid-back approach to lawn maintenance, you can fertilize your lawn just twice per year. You should fertilize once in the spring and once midsummer. Fertilizing more can cause excessive growth that means more time mowing. 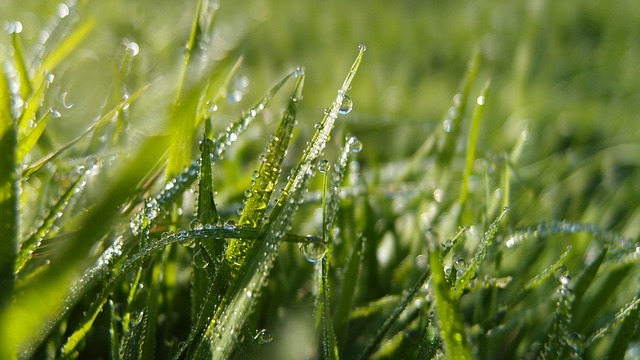 Allowing your grass to grow about an inch higher in the summer will reduce the amount of watering needed too because tall grass limits water evaporation from the ground. After you mow your lawn when grass is dry, is the best time to fertilize your lawn. Wet grass will cause fertilizer to stick to the grass blades and there is a chance that the lawn will burn. Using a spreader will help ensure that fertilizer is distributed equally across your lawn. Make sure you load the spreader over a sidewalk or in the driveway to avoid spilling extra on your lawn, and water your lawn after you have applied the fertilizer. Check out our Lawn Nutrition and Fertilization page for more information. Your lawn mower is probably one of your most expensive garden tools, but it might also be the most neglected. You should regularly change the oil, gasoline, and spark plug. It is also a good idea to clean your mower thoroughly after every use, and every spring you need to clean the air filter. Make sure your regularly take your mower in for service and have the blade balanced and sharpened so that the mower runs smoothly and cuts your grass without shredding it. Watering should be done very early in the morning, and the best time is right before or at dawn. You will avoid using water during peak hours, and your lawn will have time to dry before night. Letting your lawn dry completely before nightfall keeps fungus at bay. You want to water enough to get a deep soaking a couple of times per week. This encourages deep root growth better than more frequent but lighter watering. Deeper roots make your grass more heat and draught resistant. Brown spots are often caused by pet urine, and it is the extra nitrogen in the urine burns grass. The best way to prevent brown spots is to thoroughly water the area to dilute the nitrogen. If you do not catch the spot in time and the grass is destroyed, you can try a repair kit or lay sod to immediately repair any damage. Check out our article How to Repair Dead Spots in Your Lawn for more information.